书籍简介: Much of our business thinking is shaped by delusions -- errors of logic and flawed judgments that distort our understanding of the real reasons for a company's performance. In a brilliant and unconventional book, Phil Rosenzweig unmasks the delusions that are commonly found in the corporate world. These delusions affect the business press and academic research, as well as many bestselling books that promise to reveal the secrets of success or the path to greatness. Such books claim to be based on rigorous thinking, but operate mainly at the level of storytelling. They provide comfort and inspiration, but deceive managers about the true nature of business success. The most pervasive delusion is the Halo Effect. When a company's sales and profits are up, people often conclude that it has a brilliant strategy, a visionary leader, capable employees, and a superb corporate culture. When performance falters, they conclude that the strategy was wrong, the leader became arrogant, the people were complacent, and the culture was stagnant. In fact, little may have changed -- company performance creates a Halo that shapes the way we perceive strategy, leadership, people, culture, and more. Drawing on examples from leading companies including Cisco Systems, IBM, Nokia, and ABB, Rosenzweig shows how the Halo Effect is widespread, undermining the usefulness of business bestsellers from In Search of Excellence to Built to Last and Good to Great. PHIL ROSENZWEIG is a professor at IMD in Lausanne, Switzerland, where he works with leading companies on questions of strategy and organization. He earned his Ph.D. from The Wharton School, University of Pennsylvania, and spent six years on the faculty of Harvard Business School. He is a native of Northern California. Comments to the author can be sent to Phil@the-halo-effect.com. 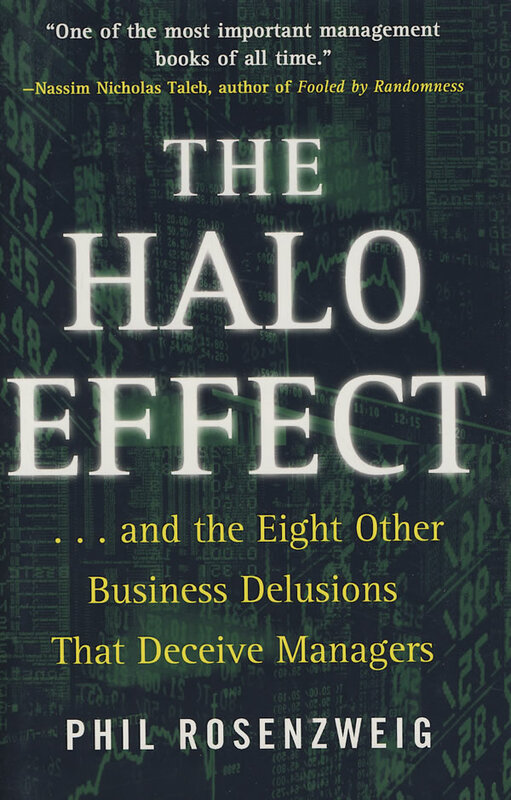 Visit www.the-halo-effect.com to download a user's guide to The Halo Effect for your company or classroom, or to join a discussion forum about delusions in the business world.